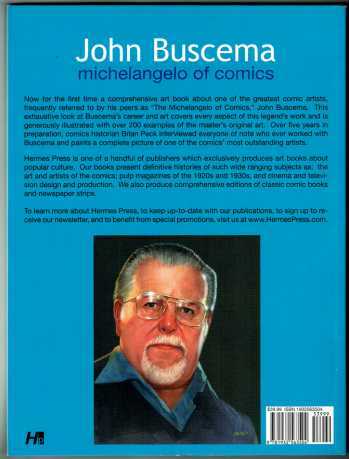 Over 200 pieces of original art are reproduced: early Timely art, Avengers covers and pages, Sub-mariner, Silver Surfer, Fantastic Four, Thor, Conan, unpublished drawings, commissions, and sketches. 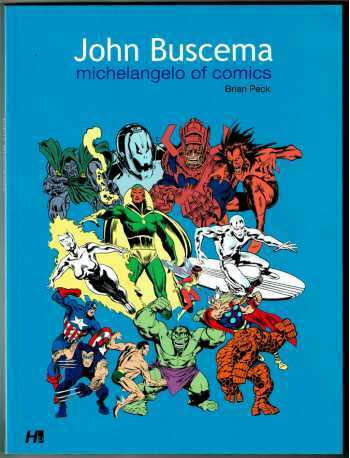 An extensive bibliography/inventory of Buscema's published works. "This exhaustive look at Buscema's career and art covers every aspect of this legend's work and is generously illustrated with over 200 examples of the master's original art. 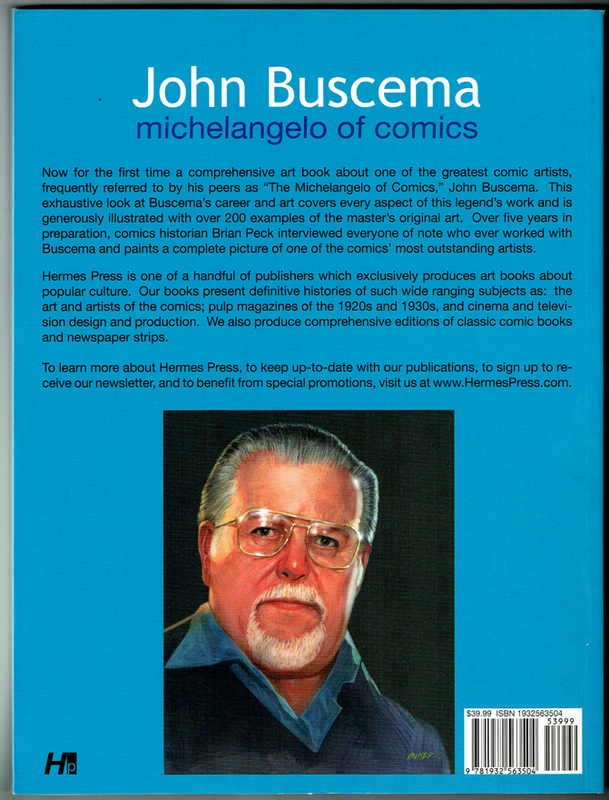 Over five years in preparation, comics historian Brian Peck interviewed everyone of note who ever worked with Buscema and paints a complete picture of one of the comics most outstanding artists."